There is a well-known theory that we, as adults, use food to “eat our feelings” rather than dealing with them. This habit, often started in childhood, can lead to many unwise choices and health problems. But, what if we could reverse that pattern by using food to identify emotions, giving children the words to address negative feelings before they become problems? 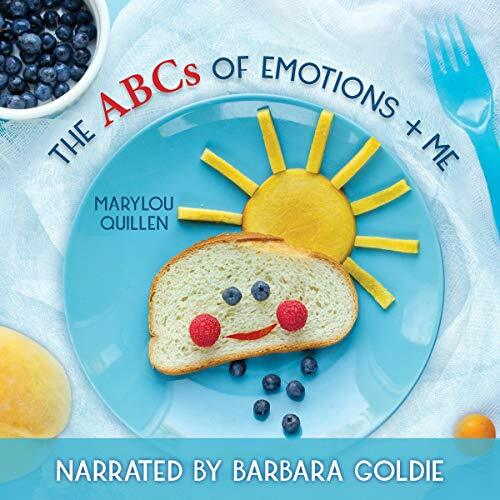 In this kid-oriented audiobook, MaryLou puts a new spin on that idea for a new generation by reflecting various “feelings” with funny food scenarios. Children will find the words to express their emotions. This can be a great tool for opening a dialogue with your child about their developing emotions and aid them in understanding what they are feeling. So step up to the table and enjoy this special serving of The ABCs of Emotions and Me!